Vampire Diaries 2x07 EXTENDED Promo | masquerade (Screencaps). . HD Wallpaper and background images in the katherine pierce club tagged: katherine pierce the vampire diaries nina dobrev season 2 2x07 promo screencaps. 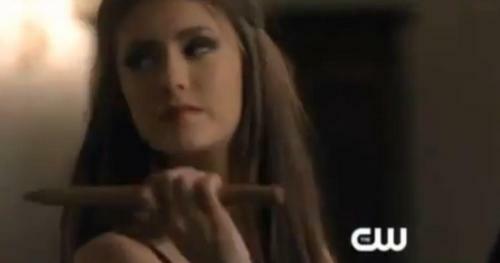 This katherine pierce Screencap contains retrato, headshot, close up, and closeup.